With the craze around knee sleeves only growing, I thought it was a good time to address the question: how are knee sleeves supposed to fit? And how tight should they be? Well that depends on a few things, I hope by the end of this article you’re comfortable picking knee sleeves sized properly for what you need them for. What do you wear knee sleeves for? For powerlifting there are probably two tightness I would recommend. Those would be your training tightness, and competition tightness. For training you want your knee sleeves to give you great support, good compression, keep you safe, and let you lift more weight on the regular. This is usually one sized down from the manufacturer. For competition tightness you want them as tight as possible, uncomfortable, and allowing you the maximum possible weight increase from wearing knee sleeves. You may also want to occasionally squat in your competition sleeves to prepare yourself for the rebound and feeling of them. This is usually 1-2 sizes down from the manufacturer. For a regular squatter doing a bodybuilding program, a 5×5 program, or another gym program where you’re squatting a few times a week I would recommend tight and supportive sleeves, but they shouldn’t be uncomfortable. I’d recommend following the manufacturers recommendation if you’ve never used knee sleeves before, or sizing down one size maybe if you want a bit more support. Make sure they’re comfortable yet supportive and you can complete all the sets you want while wearing them. Here we want maximum mobility and a bit of rebound and support to. Usually Olympic weightlifters get sleeves true to their size – so follow the manufacturers recommendation here. CrossFit is the same except I would recommend that if you’re on the top end of a size-range that you go up to the larger size to ensure you can run, jump, squat, and do it all while you’re CrossFitting. For running we just want a bit of warmth and compression – NOT restriction. So for running get true to your size and size up if you’re close to the limit to maintain mobility. Depends a bit on the sport, but for the most part if you’re running stick with the running recommendations. For a sport like volleyball or wrestling you might want a tighter sleeve since you’re not moving as much and want some more compression and support. I wouldn’t recommend a big heavy duty sleeve, and also get one that’s comfortable at your regular size recommended by the manufacturer, or one size larger. You want to be able to wear these all day long or for a decent amount of time for recovery. In some cases those recovering from an injury might want a really tight sleeve to increase blood flow drastically. A trick to getting on and off your tight knee sleeves, competition fit sleeves, or heavy duty sleeves for squatting is to pull them over your ankle, then roll the top down about half way, then you have almost a little handle grip to hold onto while you yank the sleeve up and push your leg down at the same time. This lets me get my tight tight sleeves on in a jiffy without too much flopping around. A note on dealing with the discomfort, I recommend rolling the knee sleeve down again like you did to put it on and push it back down to your ankle in between sets so it’s not too annoying between sets if you’re waiting a few minutes. Disclaimer: Your knee sleeves should never fully cut off your circulation or feel like it, I am not a doctor and you should always consult your physician if you have any worries. 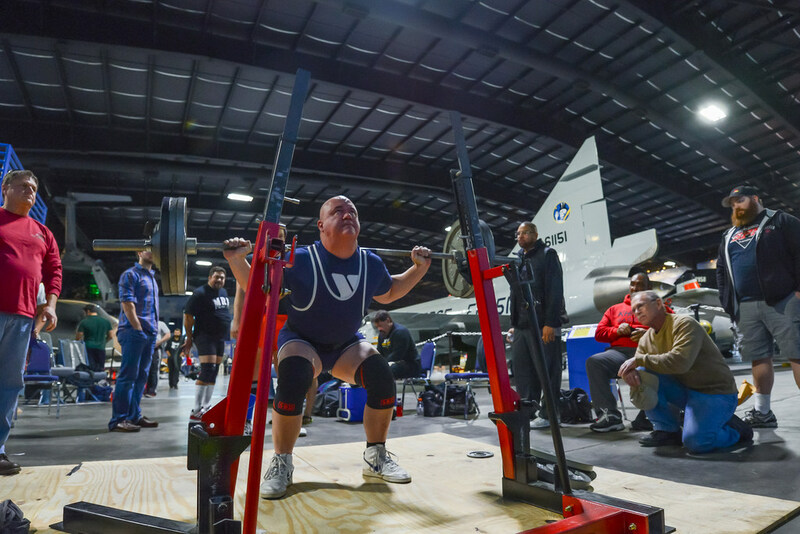 If you’re still looking for a pair of sleeves and just used this article for information check out my extensive review page where I wore and squatted in a ton of different knee sleeves to find the 4 best ones for squatting, powerlifting, olympic, and CrossFit.